Here are the list of instrument clusters of motorcycles in India which fall between 150-200 cc category. Click on the link to check our post on List of Motorcycle Instrument Clusters in India (200cc and above) . This 150cc street fighter from Yamaha excels in everything that’s meant for it. 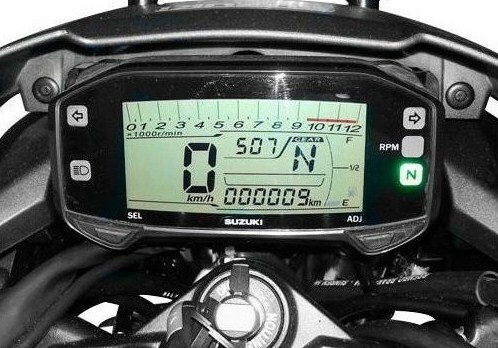 Version 2.o of the FZ gets a full digital instrument cluster. This console comes with a tachometer, speedometer, a trip meter, odometer, fuel level indicator and also an ECO mode green light. What it does not get is the gear position indicator. This bike has been a revelation in the 150cc category and will continue to be so. Competition to the FZ came to the market in the form of the Suzuki Gixxer. Then the track focused Gixxer SF was introduced to us. Console on the Gixxer and the SF is all digital which gets a clock, speedometer, tachometer, gear position indicator, clock, odometer, fuel gauge and a trip meter. The console is simple, elegant and looks like a modern day video gamer. The console on the Suzuki brothers is my favorite of the list. Honda known for the iconic Activa, got into the 150 cc category with the Unicorn 150 and the Hornet 160. Hornet being aggressive in its design is aimed straight at the customers preferring the Gixxer or the FZ. 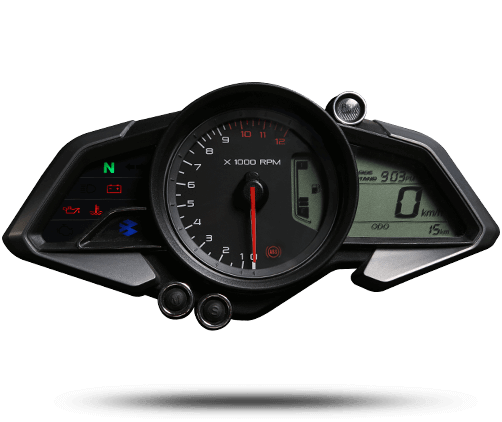 Just like Gixxer and the FZ, Hornet also gets an all digital instrument cluster which gets a tachometer, speedometer, clock, two trip meters, fuel level indicator but misses on the gear position indicator. The Adventure Sport motorcycle from Bajaj is aimed at people who love touring on two wheels. 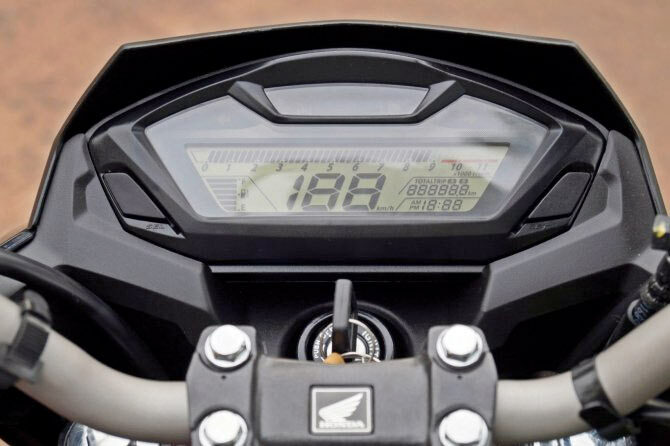 This motorcycle gets the same instrument cluster as the Pulsar NS/RS 200. It has a semi digital console which has a speedometer, tachometer, fuel level indicator, trip-meter, odometer, engine oil level indicator, RPM limit blinker and the AS 200 also gets a side stand indicator. TVS is now participating in the Dakar motorcycle rally but their Apache 160 is never forgotten. 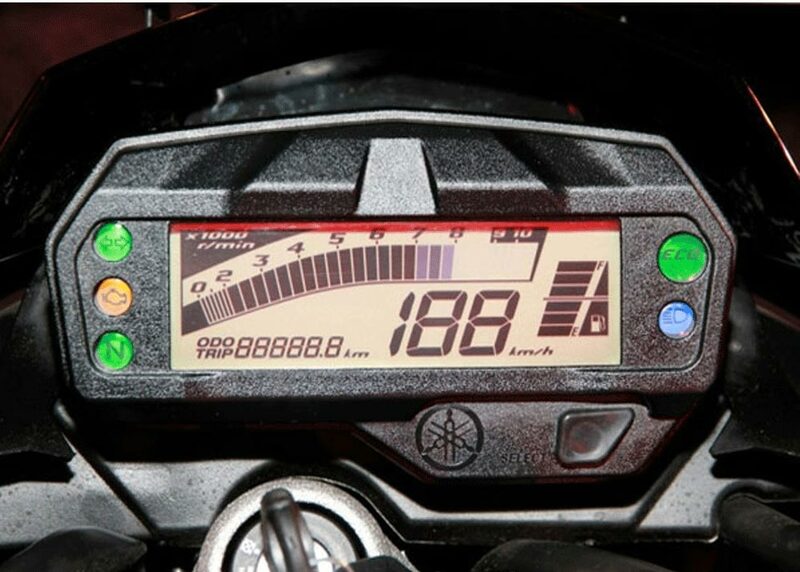 This motorcycle gets a semi digital instrument cluster which has an analog tachometer, digital speedometer, clock, trip meter, odometer, top speed indicator and a fuel level indicator. Which Instrument cluster interests you the most? Let us know by commenting below.